It’s been a long time, about 30 years in fact, since George Miller directed the last of his iconic Mad Max films. The films starred Mel Gibson as Max Rockatansky, a former police officer who wanders the post–World War III wasteland scavenging for what little gasoline remains to keep his car running. The films played off the fears of the late ’70s and early ’80s, namely the fears of impending war between the U.S. and the USSR as well as the oil crisis that permanently ballooned gas prices. In the interim, Miller himself has largely been relegated to lighter fare such as Babe and Happy Feet, as far a place as can be imagined from the cruel and lawless vision of the Australian outback through which he made his name. His leading man, Gibson, squandered a once-prestigious acting career in a series of well-publicized and embarrassing incidents; he is now just as much an outcast as Max, the role that defined his early years. Gibson has been replaced with a newer model—the appropriately laconic Tom Hardy—but Miller has gotten one more crack at his glory days with Mad Max: Fury Road, which came out this past Friday. It’s hardly a surprise that Miller missed this franchise, but the film-going public may have missed it even more. One glance reveals that Fury Road is different from the current crop of action blockbusters. From the opening shots, the desert glows with an intensity matched only by the eyes of the lost souls who inhabit it. Chief among them are the titular Max and Imperator Furiosa (Charlize Theron). Max begins the film in the captivity of the War Boys, a cultish group of soldiers and bandits who rule the local people through control of one of the last plentiful water supplies in the post-apocalyptic wasteland. 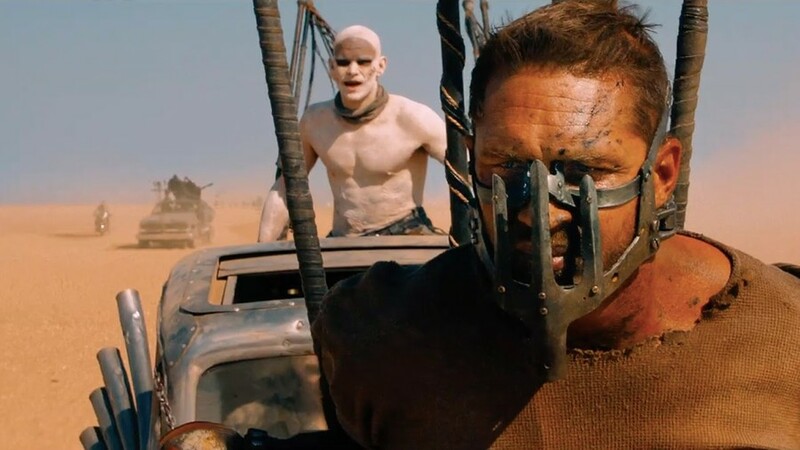 Max is freed, but in the process is roped into Furiosa’s plan to liberate the wives of the War Boys’ vicious leader, Immortan Joe (Hugh Keays-Byrne). They set off into the desert in a single tanker with the entire War Boy army in pursuit. Into that wasteland’s hazy orange glow Miller injects sharp primary colors, which come to dominate the viewer’s attention. From the reds of a signal flare or a blood transfusion tube to the whites of the wives’ dresses or the War Boys’ chalky skin, these items pop off the screen and organize the visual chaos of the film’s plentiful action scenes, most of which have been miraculously rendered with practical (as opposed to digital) effects. Moreover, Miller is unafraid to slow down or speed up the action when he deems it necessary. Some images flash by before they can be registered, and others unfold slowly and stick with the audience long after the credits roll. Miller is a natural visual stylist in ways that many contemporary (or past, for that matter) action directors are not, and as a result Fury Road is far more immediately striking and memorable than any action film released so far this year. But he is more than a visual artist. Thirty years on, Miller has once again proven himself a masterful world builder, and his abilities in that department make the film more than just a realization of a pleasing aesthetic. Every set, every prop, every stitch of every costume has been thought out and meticulously constructed with the larger world in mind. Of particular interest to him are the fluids that fuel the world. There are those which come from the Earth (water and oil) and those which come from the body (milk and blood). All four are featured at important junctures in the film; all teach the audience about how the characters in the film live. The commoditization of the planet and humans themselves is clearly pointed to as both the cause of the apocalypse and the only thing that remains after it. Miller rarely foregrounds his critiques of modern society, but they are omnipresent. He never lets us forget that Max’s world is a freakish reflection of our own. The movies missed George Miller, but no one knew just how much until he came back. Against all odds, he may have just made the best movie of the year so far, and one of the best action films in many years.